Chicago Helicopter Experience Charter service delivers luxury, speed, and style. We offer private charters the area’s top destinations – including Lake Geneva, South Bend, and New Buffalo, MI. Additionally, we provide transfers from all of the local private airports to our downtown heliport. Now private flyers can forego traffic and commute downtown in 15 minutes. Controlling all aspects of the process, we provide the ultimate hassle-free charter experience. Our experienced pilots are instrument rated and committed to getting you where you need to go 24/7. 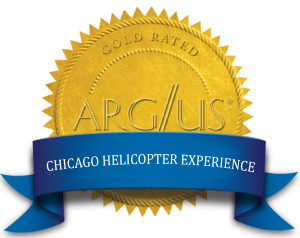 Founded in 2011 by entrepreneur Trevor Heffernan, Chicago Helicopter Experience is a game changer for busy executives, VIPs, and families on the move. The ability to get in and out of Chicago is now at your fingertips with helicopter charter services. Fly aboard our Airbus EC130 to the destination of your choice! The EC130 has a large, quiet cabin space along with luxurious amenities. Our FAA Part 135 certified operations are supported by an FAA Part 145 certified repair center as well as our own in-house maintenance technicians who have more than 30 years experience as licensed A&P mechanics. We can fly you anywhere in the Great Lakes Region quickly and comfortably. Daily and hourly rates are available. From personal to professional demands, we are dedicated to ensuring our clients’ needs are met. Enjoy the peace-of-mind knowing every detail of the flight itinerary is being meticulously attended to. For our frequent travelers, we offer a Charter Card Program to provide the best value. Charter Cards are available in 15 and 30-hour denominations and include complimentary car service to and from the Loop. Chicago Helicopter Experience Premier has Partnered with JetSmarter to provide a superior customer experience to help you get from Chicago to any local airport in the JetSmarter network. We will help you get to where you need to be fast, efficiently, and safely.